We have information you must know before you buy the Fit. The 2019 Honda Fit is rolling into showrooms now with its new automatic headlights as a part of the Honda Sensing package and a new Platinum Pearl White color option. 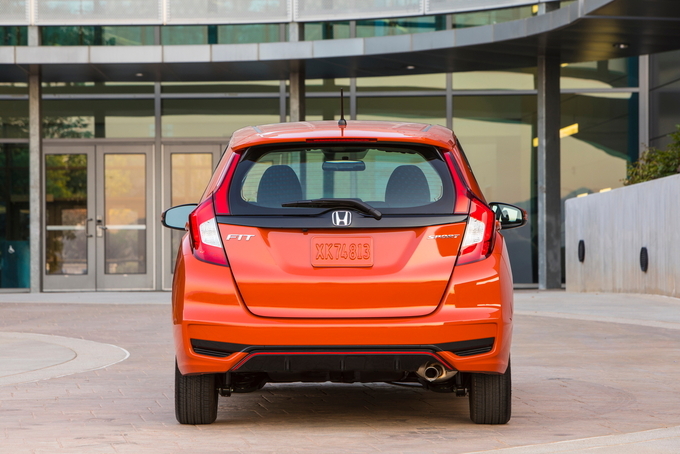 The Honda Fit is a popular model, but it's scarce due to its low profit margins. Despite its low profit margins, Honda continues to offer a few deals on the 2019 Fit. A redesign could be on tap for the 2020 Fit. Stay tuned for updates. All offers on the Fit are available nationwide and expire on April 30, 2019. With Memorial Day just over a month away, keep an eye out for new offers to arrive. The 2019 Honda Fit continues with up to $500 in unadvertised cash incentives. Remember, dealers choose how to apply these discounts, so shop around for the best offers. Recent college graduates can also score a $500 financing bonus from Honda when taking out a loan through Honda. The 2019 Fit's financing offers start from 2.9 percent APR for up to 36 months and top out at 3.9 percent APR for up to 60 months. The 2019 Honda Fit's lease offers start from $179 per month with $2,199 due at signing on the LX trim with the CVT. With an effective monthly cost of $240, this is not a good value for its $17,910 MSRP. You can see the remaining promotional lease offers in the table below, but they are all bad values for their respective MSRPs. Special Pricing: (Expires 4/30/19) Special Customer Note: The CarsDirect.com price for this vehicle contains a special manufacturer-to-dealer incentive. Customers must take delivery of this vehicle prior to the expiration date to be eligible for this price. This price may not be available on special factory orders or used in conjunction with special manufacturer financing or leasing programs. Prices subject to change at any time based upon program rules. Please check with your CarsDirect Trusted Dealer for complete details. Good things come in small packages, and the 2019 Honda Fit is living proof. Starting at $17,085 (all prices include the $895 destination charge) the Honda Fit is offered in four trim levels, has loads of cargo space for the segment, and a fair amount of technology and safety features. Powered by a fuel-efficient 1.5-liter four-cylinder engine, the 2019 Honda Fit is best suited for singles or commuters, but can be configured to "fit" almost any taste. The Honda Fit received a much-needed makeover in 2018 and arrives at dealers mainly unchanged. There's a new Platinum Pearl White exterior color which replaces White Orchid Pearl, while automatic high beams were added to models with Honda Sensing. The 2019 Honda Fit is a four-door subcompact offered in four trims: LX, Sport, EX, and EX-L. Each Fit receives power by way of a 1.5-liter four-cylinder engine that produces 130 horsepower and 114 pound-feet of torque. This engine is paired with a standard six-speed manual transmission which returns an EPA-estimated 29 miles per gallon city, 36 mpg highway, and 31 combined. Consumers can opt for a continuously variable transmission (CVT) in the LX, Sport, and EX trims for an additional $800, with fuel economy increasing to 33 mpg city, 40 highway, and 36 combined. The CVT is standard with the range-topping EX-L. The base Honda Fit is the LX, which starts at $17,085. The LX is rather bare-bones. It rides on 15-inch wheels and is equipped with 60/40-split second-row seating, air conditioning, power doors and windows, cruise control, and a leather-wrapped steering wheel and shift knob. A five-inch touchscreen displays a rearview camera, comes with Bluetooth connectivity, and powers a five-speaker sound system. Honda Sensing, the automaker's suite of advanced safety technology, can be added for an extra $1,000. Honda Sensing adds adaptive cruise control, lane keeping assist, automatic emergency braking, forward collision warning and pedestrian detection, lane departure warning and mitigation, and automatic high beams. The Sport is the next trim offered with the 2019 Honda Fit and starts at $18,395. Consumers choosing this trim gain front, side, and rear underbody spoilers, 16-inch alloy wheels, and fog lights. On the inside, the Sport brings an improved seven-inch infotainment touchscreen with USB integration, Apple CarPlay, and Android Auto, and paddle shifters. There are eight exterior colors to choose from and a single black cloth interior. Like the LX, the Honda Sensing package can be added to the Sport. The Honda Factory Performance Package ($2,699) adds 16-inch black wheels, HFP badging, a tailgate spoiler, a sport-tuned suspension, sport pedals, and a titanium shift knob. The Fit EX starts at $19,055. This trim receives the Honda Sensing suite of driver-assistive safety features at no additional cost. Additional enhancements include automatic high-beam headlights, a power moonroof, a smart key with push-button start, floor mats, and SiriusXM Radio. The EX can also be enhanced with the Honda Factory Performance Package, but it costs $2,999 here because it also adds side underbody spoilers. Starting at $21,415, the EX-L is the top-of-the-line Honda Fit for 2019. The CVT – previously available as an $800 upgrade in other trims – is standard fare. Picking up where the EX leaves off, the EX-L adds black leather seating, dual-mode paddle shifters, heated side-view mirrors with integrated turn signal indicators, heated front seats, and a leather-wrapped steering wheel. The Honda Sensing package is included at no additional charge, Honda's navigation system can be added for $1,000, and the $2,999 Honda Factory Performance Package returns. 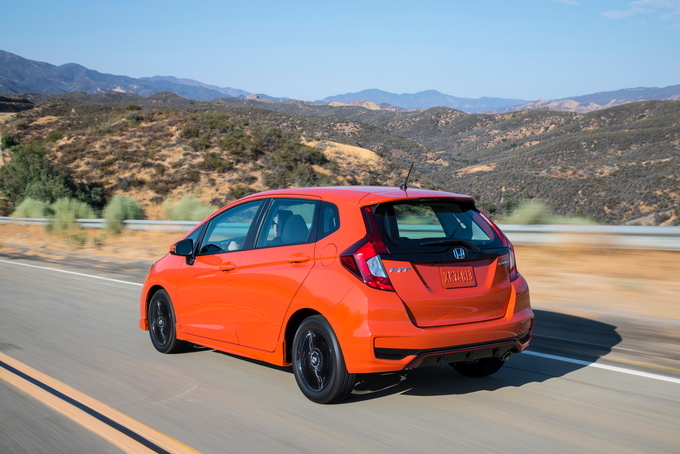 While small in stature, the 2019 Honda Fit stands tall amongst the competition in the subcompact segment. Coming in just shy of the magic $20,000 mark, the EX is arguably the best value on the board. Consumers living in cold weather climates should consider the range-topping EX-L, as it’s the only one offered with heated seats. These days, Honda stakes its name on practicality; sensible cars with sensible features at sensible prices. The 2019 Honda Fit stays on-message. For the price, it offers versatile cargo and seating in a package that gets the job done. There are even a few bonuses like available safety features, though for those who fondly remember the Fit as a spirited driver, this new generation may be a bit of a bore. At a starting price of $17,085, a bare-bones Fit is a tempting value on its own. It gets all the important features: Honda’s second-row “Magic” seats (which are surprisingly practical), an available continuously variable transmission (CVT), and the Honda Sensing suite of safety tech as an option. To get Honda Sensing requires a price bump of $1,800, which means you may as well opt for the $19,055 Fit EX. In addition to including all the safety technology of Honda Sensing as standard, the EX gets a power moonroof, push-button start, a larger seven-inch infotainment screen, automatic high beams, and smartphone compatibility. That’s good value. 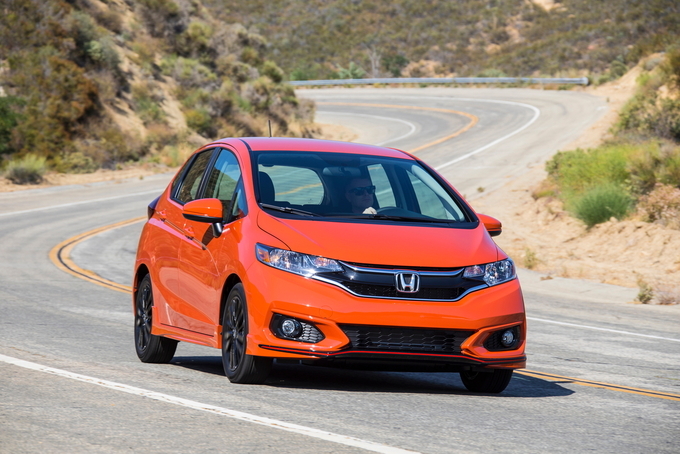 The Fit’s 1.5-liter engine is adequate, and the available CVT helps smooth out the rough patches. Fuel economy is excellent – with the smaller rims, the Fit achieves up to an EPA-estimated 40 miles per gallon on the highway. The handling is better than average for the segment, though perhaps not as spry as it was in previous years. Still, you won’t see a Fit in a Fast & Furious movie anytime soon. The powertrain feels less zippy in this generation, and the car is less responsive overall than it once was. Unlike many compact hatchbacks, there's no performance version. Even the Sport trim, which adds large wheels and exterior tweaks, sees no changes to the powertrain. 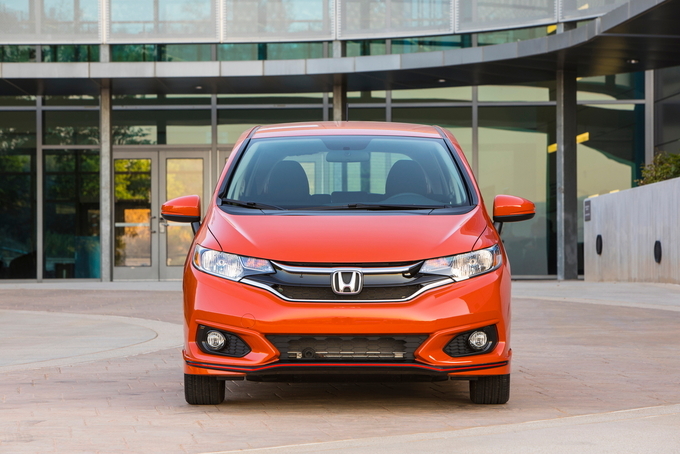 The Fit looks like a pint-sized minivan, which isn’t entirely a bad thing. The squat shape and sweeping lines help to mask what is, for the segment, a deceptively tall profile. The design is typical Honda: clean and workmanlike, with a few flourishes to make sure it stands out on the road. The real star of the show is the cargo space, which is plentiful and easy to configure in multiple arrangements. The Fit won’t go winning any awards for style. It’s inoffensive but uninspiring, and the interior is on the busy side. Thinly padded front seats may be uncomfortable on long journeys, hampered more by awkward footwells. The utility is there, but the comfort doesn’t quite match. This much storage space in a car this size feels like a trick out of Mary Poppins. We just wish Honda could have preserved some of the earlier Fit’s verve. The 2019 Honda Fit is good for budget-minded buyers who have cargo (or friends) to move. It’s a surprisingly capable little adventure vehicle. You could easily stuff gear for a week in the back, or even a mountain bike or two. Young buyers seeking a practical and efficient vehicle will find a strong contender here. The Fit is wrong for those who expect personality with their practicality. Plenty of brands have shown that subcompact cars can still be fun, and sporty offerings from brands like Ford and Mini have cult followings of their own. The Fit never conjures the same sense of joy. Even with its shortcomings, the 2019 Honda Fit is among the more tempting subcompact cars on the market. It means fewer compromises on cargo space and practicality, while maintaining efficiency and an enticing price point. 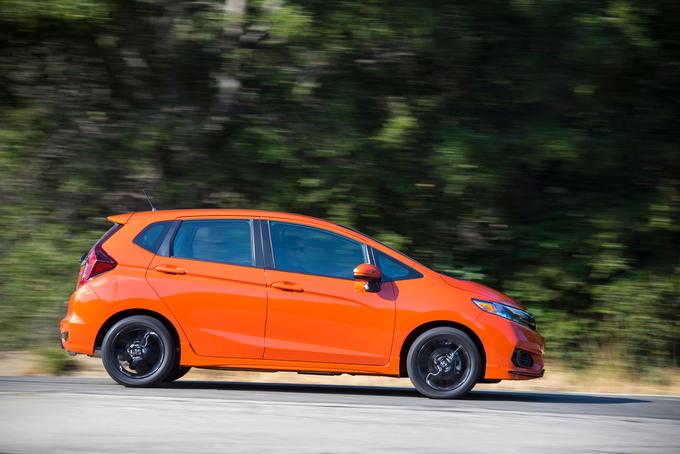 If Honda could bring back just a little bit of zip, the Fit would be a slam dunk. We have partnered with trusted dealers in your area to give you a great price on the new Honda Fit.